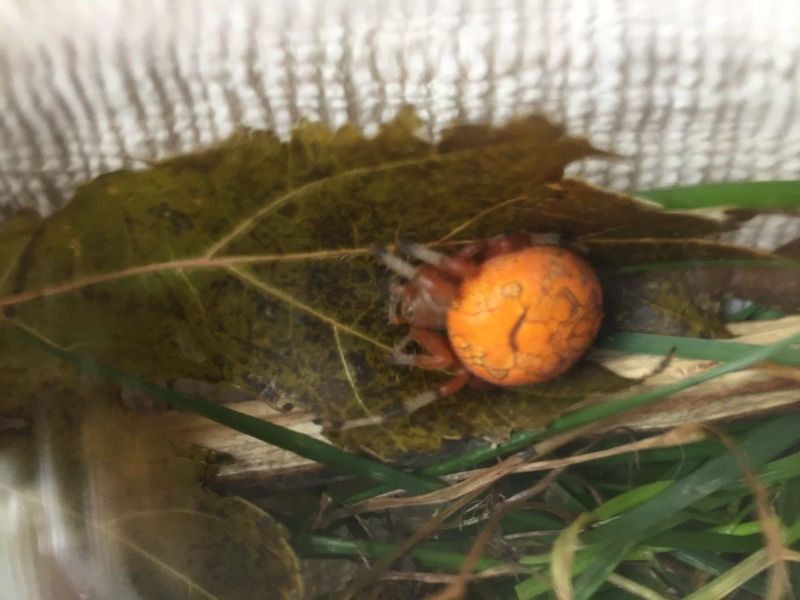 She’s a marbled orbweaver, Araneus marmorous. Hi, sorry my autocorrect has a typo. She’s Araneus marmoreus.